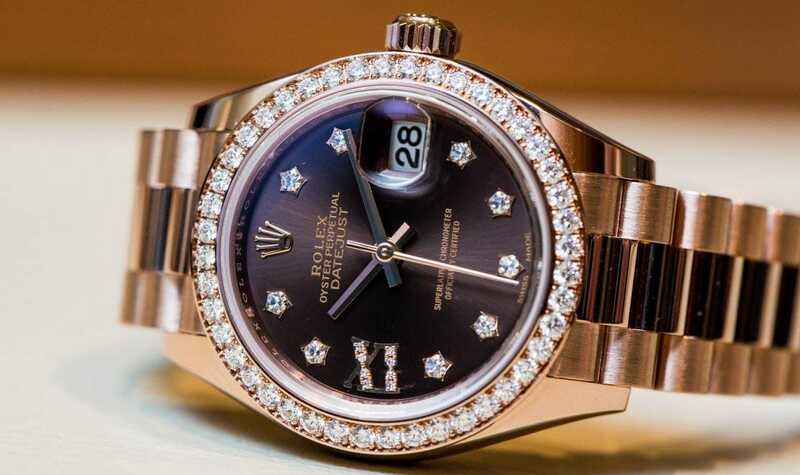 It wasn’t just the men who were treated to new offerings from Rolex at this year’s Baselworld; women too were presented with a fantastic new model – the Lady-Datejust 28. A counterpart to the men’s new Day-Date 40, Rolex’s latest uncompromisingly elegant timepiece for women features new proportions, as well as the Caliber 2236. 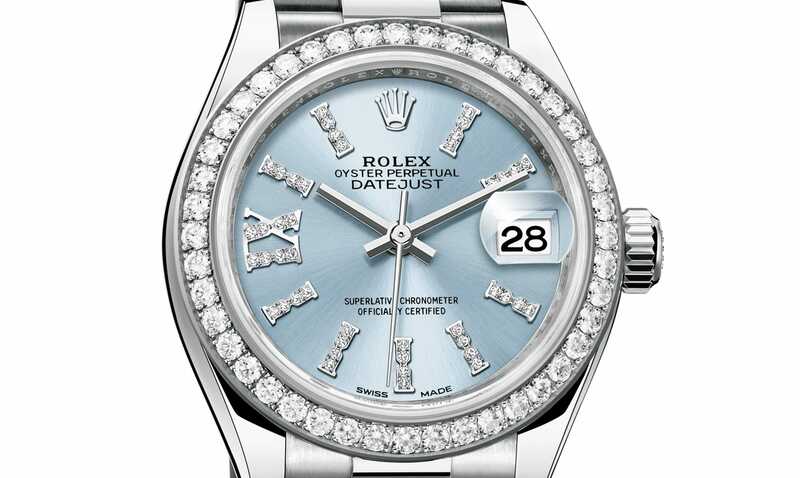 As the name suggests, the revamped case of the Lady-Datejust 28 was augmented to 28mm, while the design of the middle case, lugs, and dial have been refined. Only the finest materials were selected for the new Lady-Datejust 28 with models available in 950 platinum, 18k yellow gold, and 18k Everose gold. With the new size, the dials of the Lady-Datejust 28 were reworked to be broader and clearer with some of them beautifully embellished with diamond-set hour markers, including a Roman numeral “IX” at the 9 o’clock position. Dial color choices range from chic chocolate, to classic silver or sundust, to vibrant lilac, ice blue, and green. Bezel options include domed ones for a contemporary style, fluted ones for the classic look, and jeweled ones set with 44 brilliant-cut diamonds for ultimate luxury. The selection was well thought out by Rolex to match a variety of personal styles. The Lady-Datejust 28 is furnished with either the iconic President’s bracelet – newly optimized with ceramic inserts to prevent stretching out over time – or the elegant Jubilee bracelet. Both bracelets, which come in either solid gold or platinum, possess an enhanced concealed Crownclasp for optimal comfort. Another innovation of this timepiece is a hidden part under the bezel that allows for a seamless attachment of the bracelet to the case. 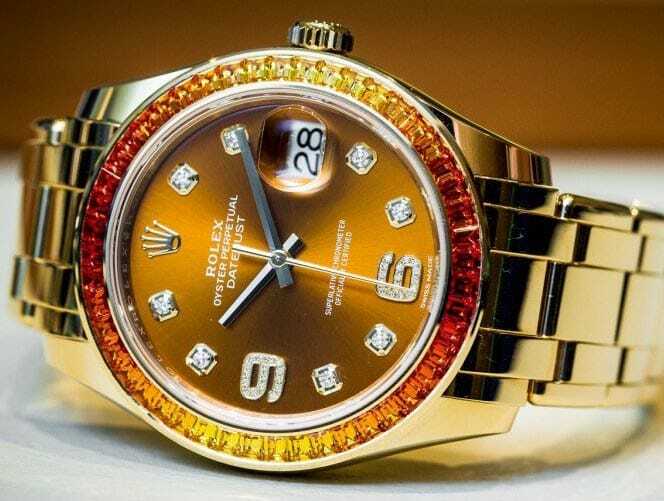 Of course the Lady-Datejust 28 bears all the hallmarks of a Rolex Oyster Perpetual with its Oyster case waterproof to 330 feet, screw-down winding-crown with Twinlock double waterproofness system, and Cyclops lens over the date at the 3 o’clock position for ease of readability. Beating at the heart of the Lady-Datejust 28 is the Rolex proprietary Caliber 2236: a self-winding mechanical movement equipped with a Rolex patented Syloxi hairspring. The Syloxi hairspring is made from a composite of silicon and silicon oxide, making it resistant to temperature fluctuations and magnetic fields. 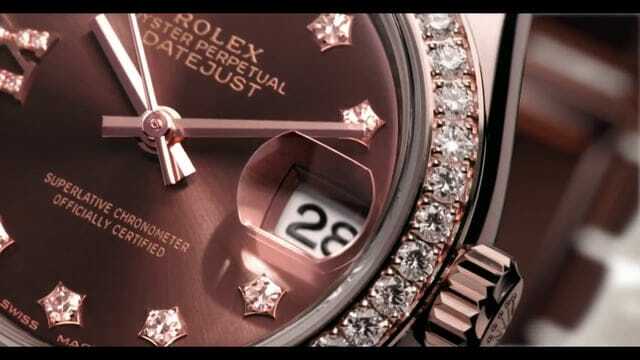 The Caliber 2236 was first introduced in 2014 and is said to be the new-generation movement for Rolex’s ladies’ watches. As a “Superlative Chronometer” the timepiece offers its wearers uncompromising precision certified by COSC (the institute charged with testing Swiss-made watches for accuracy and precision) in addition to having been tested in Rolex’s laboratories. And with a power-reserve of 55 hours, the Lady-Datejust 28 remains running even when unworn for over two days. A gorgeous addition to the Rolex ladies’ collection, the Lady-Datejust 28 exudes the timeless refinement and sophistication sought after by today’s modern woman. With its outer beauty perfectly supported by its inner mechanical mastery, this piece is set to become an instant classic.